We specialize in creating software and systems technology to suit YOUR needs to build your business/brand on the social platforms your customers are using. SocialPrint is not an App based service but rather a service that is available on the platforms your users are ALREADY using. Interact with your existing client base. (Running different campains over multiple platforms - we can help centralising posting to platforms). Creating user forms and survays for your users. Register and complete a simple guided interactive process. All white-labled projects will be customised to include your logo and own BOT on selected platform. 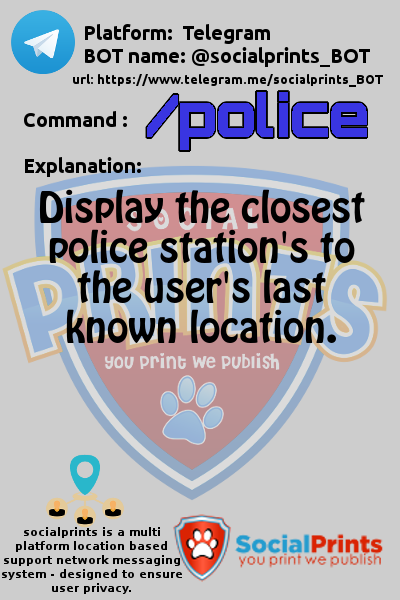 Platform your users can enquire the NPS database for suspisious numberplates. Location based user management IM toolset. Create manage and control own or public facial datasets. If you are a group administrator and are interested in using our code contact us for a demo. 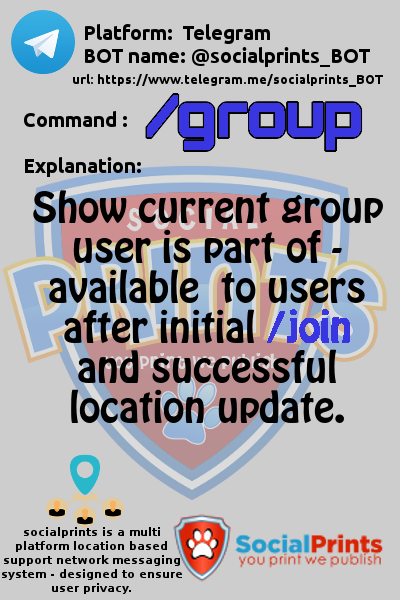 Login to the BOT control page is limited to group administrators only. For security reasons it is only available from their IM platform by sending /control to the BOT they control. SocialPrints is available on all major instant messaging platforms. Register for this service and start using it today. Group/BOT administrators only pay R48 per 300 users (first 300 are free). Q. How to register for this service? 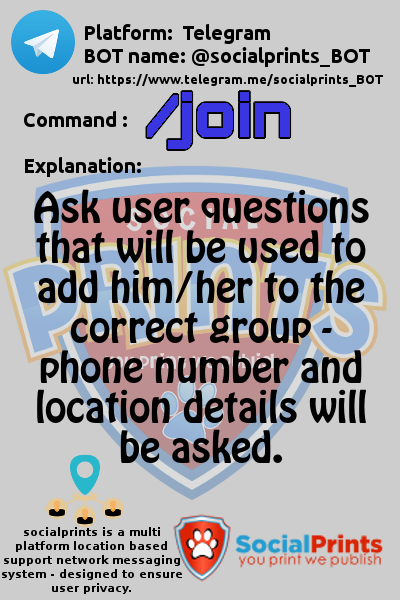 If you are a group manager and are interested in using this BOT contact us to set-up your own BOT now..
"Make sure your family is looked after."